The main objective of this work was to discover new drugs that can activate the differentiation of multipotent pancreatic progenitors into endocrine cells. In vitro experiments were performed using fetal pancreatic explants from rats and mice. In this assay, we examined the actions on pancreatic cell development of glibenclamide, a sulfonylurea derivative, and glycine hydrazide (GlyH-101), a small-molecule inhibitor of cystic fibrosis transmembrane conductance regulator (CFTR). We next tested the actions of GlyH-101 on in vivo pancreatic cell development. Glibenclamide (10 nmol/l–100 μmol/l) did not alter the morphology or growth of the developing pancreas and exerted no deleterious effects on exocrine cell development in the pancreas. Unexpectedly, glibenclamide at its highest concentration promoted endocrine differentiation. This glibenclamide-induced promotion of the endocrine pathway could not be reproduced when other sulfonylureas were used, suggesting that glibenclamide had an off-target action. This high concentration of glibenclamide had previously been reported to inhibit CFTR. We found that the effects of glibenclamide on the developing pancreas could be mimicked both in vitro and in vivo by GlyH-101. Collectively, we demonstrate that two small-molecule inhibitors of the CFTR, glibenclamide and GlyH-101, increase the number of pancreatic endocrine cells by increasing the size of the pool of neurogenin 3-positive endocrine progenitors in the developing pancreas. The online version of this article (doi: 10.1007/s00125-012-2778-8) contains peer-reviewed but unedited supplementary material, which is available to authorised users. The mature pancreas contains exocrine acinar cells that secrete digestive enzymes into the intestine via a ductal tree, and endocrine islets that synthesise hormones, such as insulin from the beta cells, glucagon from the alpha cells, somatostatin from the delta cells and pancreatic polypeptide (PP) from the PP cells. The pancreas originates from the dorsal and ventral regions of the foregut endoderm directly posterior to the stomach. A hierarchy of transcription factors regulate pancreatic specification, growth and differentiation. First, the pancreas-committed endodermal region of the foregut produces pancreatic and duodenal homeobox 1 (PDX1) . Next, the basic helix-loop-helix transcription factor neurogenin 3 (NGN3) initiates the endocrine differentiation programme in epithelial pancreatic progenitors [2, 3]. Subsequently, additional transcription factors determine the specific fate of the endocrine cell . Such information is crucial to develop protocols to generate in vitro PDX1+ pancreatic progenitors from human embryonic stem cells [5, 6, 7]. However, in vitro beta cell development from PDX1+ pancreatic progenitors remains challenging . This is at least partly because knowledge of the signals that regulate pancreatic endocrine cell differentiation from PDX1+ progenitors is lacking. We recently developed a pancreatic explant assay that can replicate pancreatic cell development from PDX1+ progenitors , and we have previously used this assay to define some of the factors and conditions that regulate specific steps of pancreatic cell development [9, 10, 11, 12, 13]. In the present study, we tested the effect of sulfonylurea derivatives, such as glibenclamide, on pancreatic cell development. Sulfonylurea derivatives are hypoglycaemic agents that are commonly used to treat adults with type 2 diabetes. They restore insulin secretion in these individuals by acting on the ATP-sensitive K+ channel (KATP channel). The pancreatic beta cell KATP channel is composed of four inward rectifying K+ channel (Kir6.2) subunits, encoded by KCNJ11, and four sulfonylurea receptor (SUR1) subunits encoded by ABCC8. Sulfonylurea derivatives close the KATP channel after binding with high affinity to the SUR1 subunits . Importantly, glibenclamide treatment has now successfully replaced insulin injections and provides prolonged and effective glycaemic control in newborn infants with perinatal diabetes mellitus due to mutations in either the ABCC8 or KCNJ11 gene . Using the pancreatic explant assay we established previously , we found that glibenclamide, even at high concentrations, did not have any deleterious effects on global pancreatic development. Unexpectedly, we discovered that high concentrations of glibenclamide increased the absolute number of NGN3+ endocrine progenitors and the resulting number of pancreatic beta cells. It has been reported that high concentrations of glibenclamide can inhibit cystic fibrosis transmembrane conductance regulator (CFTR) [16, 17]. We found that glycine hydrazide (GlyH-101), a small-molecule inhibitor of CFTR , mimicked the effects of glibenclamide on the number of endocrine progenitors and pancreatic beta cells in vitro and in vivo. In the light of this finding, small-molecule inhibitors of the CFTR represent new molecules to promote endocrine cell differentiation in the developing pancreas. Pregnant Wistar rats and Swiss mice were purchased from CERJ (LeGenet, St Isle, France). Cftr +/− mice  were obtained from CDTA (Orleans, France) and were intercrossed to obtain Cftr −/− embryos. The first day postcoitum was taken as embryonic day (E)0.5. Dorsal pancreatic buds were dissected from E13.5 rat and E12.5 mouse embryos using a previously described protocol . Pregnant (E12.5) mice were injected subcutaneously twice daily for six consecutive days with 10 mg/kg GlyH-101 (Calbiochem, Darmstadt, Germany) or a DMSO control. All experiments were performed according to the guidelines of the French Animal Care Committee. Dorsal pancreases were cultured for 7 days at 37°C in a humidified 95% air–5% CO2 gas mixture on 0.45 mm filters (Millipore, St-Quentin-en-Yvelines, France) at the air-medium interface in Petri dishes containing RPMI 1640 (Invitrogen, Saint Aubin, France) supplemented with 100 U/ml penicillin, 100 mg/ml streptomycin, 10 mmol/l HEPES, 2 mmol/l l-glutamine, 1× non-essential amino acids (Invitrogen) and 10% heat-inactivated fetal calf serum (HyClone, Logan, UT, USA) . Glibenclamide (MP Biomedical, Illkirch, France) and GlyH-101 (Calbiochem) were dissolved in DMSO (Sigma-Aldrich, Lyon, France) and used at the required concentrations. The culture medium was supplemented daily with glibenclamide, GlyH-101 or DMSO. At the end of the 7 day culture period, the pancreases were photographed and then prepared for immunochemistry or RNA extraction and real-time PCR (see below). The pancreases were first fixed in 10% formalin, embedded in paraffin, and then immunohistochemistry was carried out on 4 μm-thick paraffin sections using a previously described protocol . The following primary antibodies were used at the given dilutions: mouse anti-insulin (Sigma; 1:2,000); rabbit anti-glucagon (Diasorin, Antony, France; 1:1,000); rabbit anti-amylase (Sigma; 1:300); rabbit anti-carboxypeptidase A (CPA) (Biogenesis, Poole, UK; 1:600); rabbit anti-PDX1 (; 1:1,000); mouse anti-BrdU (Amersham Biosciences, Little Chalfont, UK; 1:2); mouse anti-Ki67 (1:20; BD Pharmingen, Le Pont-De-Claix, France); rabbit anti-proprotein convertase subtilisin/kexin type 1/3 (PCSK1/3) (1:100; a gift from D.F. Steiner, University of Chicago, IL, USA); goat anti-CFTR (1:100; Santa Cruz, Santa Cruz, CA, USA); and rabbit anti-NGN3 (; 1:1,000). The fluorescent secondary antibodies were fluorescein anti-rabbit antibody (1:200) and Texas Red anti-mouse antibody (1:200) (both from Jackson Immunoresearch, Newmarket, UK) and fluorescein goat anti-rabbit Alexa Fluor 488 (1:400; Invitrogen). Nuclei were stained with Hoechst 33342 (0.3 mg/ml; Invitrogen). NGN3 was detected using the Vectastain Elite ABC kit (Vector Laboratories, Montrouge, France) . In order to quantify the surface area of the insulin-, glucagon-, PCSK1/3-, CPA- and amylase-producing cells in the pancreatic explant culture, all images of all serial sections of each pancreas were captured and digitised using a cooled three-charge-coupled-device camera (Hamamatsu, Middlesex, NJ, USA) attached to a fluorescence microscope (Leitz DMRB; Leica, Rueil-Malmaison, France). The area of each immunostain was determined in every second section of the serially sectioned pancreases. For every image, the areas of each immunostain were quantified using Scanalytics IPLab image processing software (Scanalytics, Fairfax, VA, USA). The areas of each immunostain were then summed in order to determine the total surface area of each cell type in each pancreas. For mouse fetal pancreases at E18.5, insulin and glucagon immunostains were quantified from eight equally separated sections. In each section, the areas of the beta and alpha cells were determined using NIH ImageJ software (version 1.34s, www.imagej.com-about.com/). The percentage surface area of the beta or alpha cells in each pancreas was then obtained by dividing the surface area of the insulin+ or glucagon+ cells by the surface area of the pancreas. In order to measure the proliferation of the early PDX1+ progenitors, we counted the frequency of BrdU+ nuclei among 3,000 PDX1+ cells. In order to determine the absolute number of NGN3+ cells in each pancreas per condition, all pancreatic sections were first stained with the anti-NGN3 antibody. The number of NGN3+ cells was counted in each section and then summed for each pancreas. At least three pancreases were analysed per condition. Total RNA was isolated from a pool of at least three pancreases using the RNeasy Microkit (Qiagen, Courtaboeuf, France), and then reverse transcribed using Superscript reagents (Invitrogen). Real-time PCR was done with the 7300 Fast Real-time PCR system (Applied Biosystems, Courtaboeuf, France) using a previously described protocol [11, 12]. Peptidylpropyl isomerase A/cyclophilin A was used as the endogenous control gene, and E16.5 pancreatic cDNA was used as the calibrator sample. The data were analysed by the comparative cycle threshold method , and the results are displayed as fold change in gene expression. All values are shown as mean ± SEM; p values were calculated using a Student’s t test; and p < 0.05 was considered to be statistically significant. First, the effects of glibenclamide on pancreatic morphology and growth during development were investigated. We cultured E13.5 rat pancreases under conditions permissive for endocrine and acinar cell development . 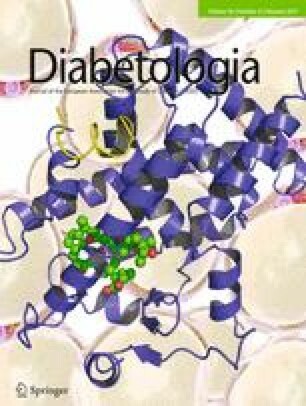 Glibenclamide (10 nmol/l–100 μmol/l) did not modify either pancreatic morphology (Fig. 1a) or pancreatic growth (Fig. 1b, c). As none of the glibenclamide concentrations tested had an effect on pancreatic morphology or growth, glibenclamide was used at the 100 μmol/l concentration in the experiments to analyse its effect on cell differentiation. We next evaluated the effects of glibenclamide on exocrine cell development. The time-dependent induction of amylase expression during in vitro pancreatic development in the presence of glibenclamide was similar to that found when developing pancreases were cultured in the absence of glibenclamide (Fig. 1d). Moreover, the surface area of amylase+ cells of the pancreases cultured for 7 days in glibenclamide was not different from that found in pancreases cultured in the absence of glibenclamide (Fig. 1e, f). The results of the analysis of the expression patterns of the two pancreatic ductal tissue markers, Spp1 (osteopontin) and Cftr, before and after 1, 3, 5, and 7 days of culture, indicated that glibenclamide did not modify ductal cell development (Fig. 1g, h). We next defined the influence of glibenclamide on the proliferation of PDX1+ pancreatic progenitors. We found that glibenclamide did not modify the proportion of PDX1+ pancreatic progenitors that incorporated BrdU (data not shown). In order to determine the effect of glibenclamide on the development of endocrine progenitors, we monitored the expression pattern of Ngn3, which encodes a transcription factor that specifically labels the endocrine progenitors [2, 3], before and after 1, 3, 5, and 7 days of culture in the presence or absence of glibenclamide. As previously reported [10, 11], Ngn3 mRNA levels increased after 1 day, peaked on day 3, and then decreased on day 7 when the pancreases were not cultured with glibenclamide (Fig. 2a). When the pancreases were cultured with glibenclamide, we observed an unexpected and dramatic increase in Ngn3 expression on culture day 5: the Ngn3 mRNA levels were sevenfold higher than those measured in the controls (p < 0.001). Thereafter, the Ngn3 mRNA levels decreased slightly, but were still higher in the glibenclamide-treated pancreases than in the controls (p < 0.001) (Fig. 2a). This glibenclamide-induced increase in Ngn3 mRNA level was paralleled by an increase in the absolute number of NGN3-producing cells. Specifically, the number of NGN3+ cells on day 5 was threefold higher in pancreases cultured for 5 days in the presence of glibenclamide than in pancreases cultured for 5 days under control conditions (Fig. 2b, c). In concordance with the glibenclamide-induced pattern of Ngn3 expression in the developing pancreas, glibenclamide also increased the expression of Neurod1 and Arx, encoding the transcription factors neurogenic differentiation 1 (NEUROD1) and aristaless related homeobox (ARX), two downstream targets of NGN3 (Fig. 2d, e). When all these assays were done using tolbutamide (100 μmol/l), another sulfonylurea derivative, we found that the induction of NGN3 could not be reproduced (data not shown). Compared with that measured in the untreated pancreases on culture day 7, glibenclamide caused a fourfold increase in the expression of Pou3f4, an alpha cell-specific transcription factor  (Fig. 3a). On culture day 7, glibenclamide also significantly increased the expression of glucagon mRNA (2.8-fold) (Fig. 3b) and somatostatin mRNA (2.2-fold) (Fig. 3c), and induced a significant 3.5-fold increase in the number of glucagon-producing cells (Fig. 3d, e). On the other hand, the number of insulin+ cells was substantially lower in pancreases cultured in glibenclamide for 7 days than in pancreases cultured for 7 days under control conditions (Fig. 3f). This glibenclamide-induced reduction in the number of insulin+ cells was accompanied by a time-dependent decrease in the expression of insulin mRNA (Fig. 3g). Glibenclamide is a potent insulin secretagogue known to induce both beta cell degranulation and a sharp decrease in insulin mRNA levels . Although glibenclamide progressively decreased insulin gene expression on days 0, 1, 3, 5 and 7, we found that the following were not affected by glibenclamide over the 7 day culture period: (1) the expression of the two beta cell-specific markers Znt8 (also known as Slc30a8) (Fig. 3h) and Mafa (Fig. 3i); and (2) the number of cells that produced PCSK1/3, the beta cell-specific proconvertase (Fig. 3j). From these results, we concluded that in this first experimental setting, glibenclamide increased the number of endocrine progenitors, increased alpha and delta cell differentiation, but did not change the number of beta cells, as measured by Znt8 and Mafa expression and PCSK1/3 levels, while decreasing insulin gene expression and content. We then modified the experimental protocol in order to investigate the effect of glibenclamide on the developing pancreas under conditions that facilitate beta cell development using a pulse-chase approach . This modified cultured protocol comprised an initial pulse period, during which the E13.5 rat pancreases were cultured with glibenclamide for 5 days in order to enhance NGN3 levels. This pulse period was then followed by a chase period, during which the pancreases were cultured without glibenclamide for 9 days. The results from pulse-chase experiments were then compared with those obtained from pancreases cultured without glibenclamide for 14 days. By as early as day 2 of the chase period (day 7 of culture), the number of insulin+ cells (Fig. 4b) and the expression levels of insulin, Znt8 and Mafa mRNA (Fig. 4c–e) in the glibenclamide-treated pancreases had become almost identical to those found in pancreases not treated with glibenclamide. On days 4, 6 and 9 of the chase period (days 9, 11 and 14 of culture), the number of insulin+ cells (Fig. 4a, b), and the expression levels of insulin, Znt8, Mafa and glucagon mRNA levels (Fig. 4c–e and data not shown) had all increased in the glibenclamide-treated pancreases. Thus, exposing the developing pancreas to 100 μmol/l glibenclamide for 5 days increases the number of NGN3+ cells that will differentiate into pancreatic endocrine cells during the chase period. As it has been reported that 100 μmol/l glibenclamide can inhibit CFTR [16, 17], we speculated that glibenclamide could induce NGN3 levels by acting on CFTR. In order to validate this hypothesis, E13.5 rat pancreases cultured for 4 days were first immunostained for NGN3 and CFTR. We found that NGN3+ cells stained positive for CFTR (Fig. 5). We then asked whether the effects of glibenclamide on pancreatic differentiation could be reproduced using GlyH-101, a small-molecule inhibitor of the CFTR . We found that Ngn3 expression in pancreases exposed to 10 μmol/l GlyH-101 for 1, 3, 5 or 7 days increased at the mRNA level (Fig. 6a) and that the absolute number of NGN3+ cells increased also (Fig. 6b, c). We also found that 10 μmol/l GlyH-101 increased the absolute number of beta cells (Fig. 6d, e) and the expression of insulin (Fig. 6f) and Mafa (Fig. 6g), but had no effect on the proliferation of PDX1+ cells and beta cells (data not shown). At the same time, 10 μmol/l GlyH-101 did not influence acinar cell development (Fig. 6d). Finally, to define whether the observed effects of GlyH-101 were dependent on CFTR, we repeated the above-described experiments with pancreases from Cftr −/− embryos. We found that while 10 μmol/l GlyH-101 increased the insulin+ area in pancreases from wild-type embryos (electronic supplementary material [ESM] Fig. 1a), it did not increase in pancreases from the Cftr −/− embryos (ESM Fig. 1b). These findings strongly suggest that the effect of GlyH-101 on beta cell development depends on CFTR. Of note, our results also indicate that insulin+ area was increased by 42% in cultured Cftr −/− pancreases, when compared with control pancreases (data not shown). In order to establish whether the in vitro effects of GlyH-101 could be reproduced in vivo, E12.5 pregnant mice were treated twice daily with 10 mg/kg GlyH-101 for six consecutive days. At the end of the treatment period, the fetal pancreases were dissected from the E18.5 mouse embryos, and then prepared for immunohistochemical analysis. GlyH-101 induced: (1) a 1.75-fold increase in the surface area of the insulin+ cells and a twofold increase in the surface area of the glucagon+ cell in the E18.5 pancreases (p < 0.01) (Fig. 7a, b); and (2) did not modify beta cell proliferation, as measured by Ki67 immunostaining (Fig. 7a, b). Further work is needed to define whether GlyH-101 increases the NGN3 level in vivo as it does in vitro. Collectively, our results indicate that two small-molecule inhibitors of CFTR, glibenclamide and GlyH-101, can increase the number of pancreatic endocrine cells by increasing the size of the pool of NGN3+ endocrine progenitors in the developing pancreas. Here, we used an in vitro bioassay based on the culture of E13.5 rat pancreases, in which pancreatic development from progenitors is replicated . In these fetal pancreases, PDX1+ pancreatic progenitors first proliferate and then differentiate into endocrine and exocrine cells . Therefore, this bioassay can be used to screen molecules and conditions that positively or negatively regulate the proliferation and differentiation of progenitors in the developing pancreas [9, 10, 11, 26]. Using this assay, we found that glibenclamide did not repress global pancreatic cell development. This finding that glibenclamide exerts no deleterious effects on the developing pancreas is consistent with previous reports that, even at high concentrations, this sulfonylurea does not induce cytotoxicity or apoptosis in a human liver cell line . An unexpected finding of this study was that the 100 μmol/l glibenclamide concentration could trigger the endocrine differentiation pathway in the developing pancreas. Specifically, glibenclamide increased the number of NGN3+ cells and the resulting number of endocrine cells. This unexpected result suggested that glibenclamide had an off-target effect for the following reasons: (1) NGN3 induction by glibenclamide was observed only when the drug was used at the highest concentration, 100 μmol/l; (2) NGN3 induction could not be reproduced when tolbutamide, another sulfonylurea was used instead of glibenclamide; and (3) the observed induction of the endocrine pathway with glibenclamide is not consistent with direct induction of NGN3 by glibenclamide via its target ATP-binding cassette, sub-family C (CFTR/MRP), member 8 (ABCC8)—indeed, NGN3 and ABCC8 are not present in the same pancreatic compartment. Specifically, Ngn3 is expressed by endocrine progenitors located in the pancreatic epithelial tree , and ABCC8 is present in mature, terminally differentiated endocrine cells . Interestingly, it has been reported that high concentrations of glibenclamide can inhibit CFTR [16, 17]. In addition, CFTR and NGN3 are both produced in the same cell type, namely the epithelial cells of the pancreatic ductal tree during pancreatic development. CFTR is a chloride channel and belongs to the superfamily of ATP-binding cassette transporters. ABCC8 is also a member of this superfamily . In this study, we found that GlyH-101, a small-molecule CFTR inhibitor of the glycine hydrazide class , replicates the effect of glibenclamide on NGN3 induction in pancreatic progenitors through its action on CFTR. By acting on ABCC8, which is located in pancreatic beta cells, glibenclamide decreased insulin gene expression, an effect that we did not observe when GlyH-101 was used because GlyH-101 does not bind to ABCC8. Currently, defining the growth factors and small molecules that increase the number of beta cells in the developing pancreas is a major research topic in the endocrine pancreatic field . It is now established that the beta cell mass depends on: (1) the size and the proliferative potential of the PDX1+ progenitor pool [31, 32]; (2) the potential of pancreatic progenitors to differentiate into beta cells; and (3) the proliferation of terminally differentiated beta cells . A number of factors have been identified that can regulate the size of the pool of the PDX1+ cells in the developing pancreas, such as fibroblast growth factor 10  and indolactam V, a non-phorbol protein kinase C activator . Although numerous factors that regulate beta cell proliferation have also been identified , only a small number of growth factors and small molecules have been found to trigger beta cell differentiation from pancreatic progenitors [11, 36]. In this study, we found that GlyH-101, a small-molecule inhibitor of the CFTR, can increase the number of endocrine cells in the developing pancreas. This effect was independent of cell proliferation, as GlyH-101 modulated neither the proliferation of PDX1+ pancreatic progenitor cells nor beta cell proliferation. On the other hand, GlyH-101 increased the absolute number of NGN3+ endocrine progenitors. This effect on the number of NGN3+ cells did not seem to be due to an increase in the proliferation of NGN3+ cells as this cell type is poorly proliferating  and did not proliferate in the experimental system we used here [9 and data not shown]. The mechanism by which inhibition of CFTR increases the number of endocrine cells in the developing pancreas remains unknown. CFTR has many known functions. It is a chloride channel activated by cyclic AMP and protein kinase, and it is also permeable to large organic ions. It also is a regulator of other ion channels. It regulates intracellular pH, as well as cell volume . Future studies are now needed to identify those signals mediated by CFTR that can influence the number of NGN3+ pancreatic endocrine progenitors. To conclude, we discovered that two small-molecule inhibitors of the CFTR, glibenclamide and GlyH-101, can amplify the development of pancreatic endocrine cells. There is a major need to discover small molecules that promote beta cell differentiation from pancreatic progenitors ; our results indicate that CFTR inhibitors should be tested in order to fulfil this still unmet need using, for example, protocols aiming to generate, in vitro, beta cells from PDX1+ pancreatic progenitors derived from embryonic stem cells. We thank K. Zaret (University of Pennsylvania, Philadelphia, USA) and W. Kramer (Sanofi, Frankfurt, Germany) for helpful discussions and advice. The authors thank A. Bomzon (Consulwrite, Jerusalem, Israel) for his comments and editorial assistance in preparing this manuscript. This work was supported by grants to R. Scharfmann from the Beta Cell Biology Consortium (grant 1U01DK089571-01) and the Bilateral Programme BMBF/ANR Convention number 2009 GENO10502. SZ-Z designed and performed experiments, analysed and interpreted data, and wrote the manuscript. KB performed experiments, interpreted data and drafted the manuscript. AE interpreted data and drafted the manuscript. MP designed experiments, analysed and interpreted data and drafted the manuscript. RS conceived the study, analysed and interpreted data, and wrote the manuscript. All the authors gave their final approval for the submission of the manuscript.